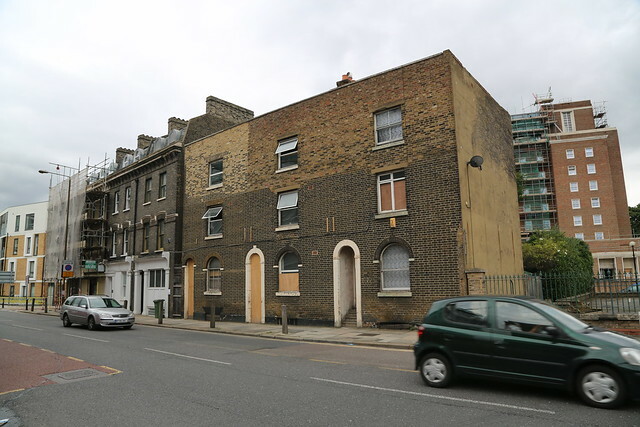 A DEVELOPER has proposed knocking down three Victorian houses in Greenwich High Road to build new homes. Four 4-bedroom townhouses would replace the houses at 24-28 Greenwich High Road if the scheme gets planning permission. "The houses, though possessing a certain dour simplicity, are unremarkable examples of later Victorian housing and do not have any notable heritage significance or architectural merit," notes a Heritage Statement accompanying the planning application. The plans for the 4-storey homes, each with an added basement, have been revised following an earlier application and a public exhibition held in January. The developer behind the scheme is Periquin Limited, which lists Lady Rona Zara Delves Dowager Broughton as its sole director. The same company is also redeveloping Maurice Drummond House in Catherine Grove, adjacent to 24-28 Greenwich High Road, as a new hotel which is due to open in the next few weeks. 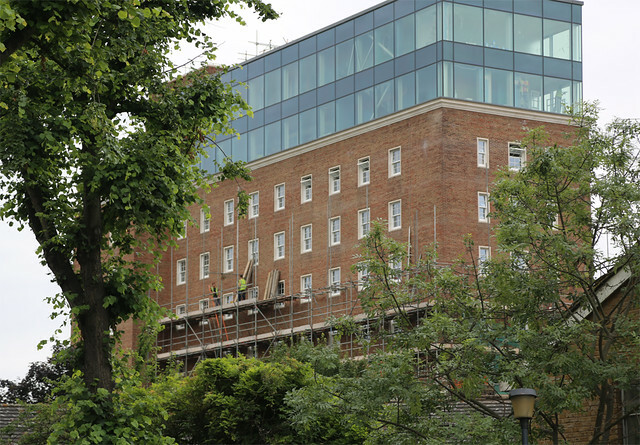 Scaffolding starts to come down at the former police section house about to reopen as a hotel. 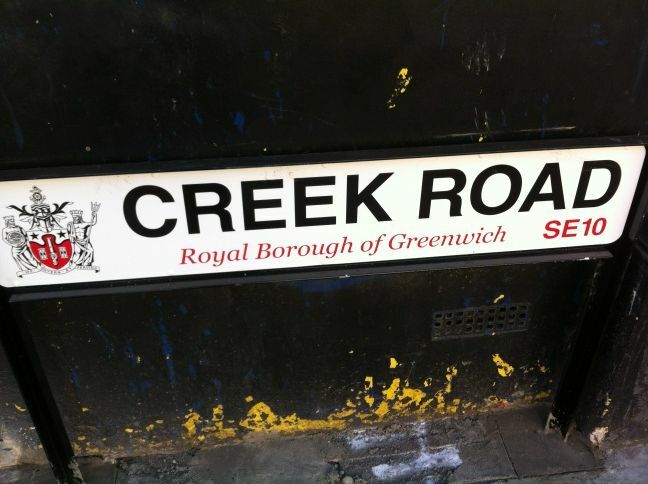 Thanks to local estate agents Conran Estates for sharing this photo showing the brand new street sign for Greenwich High Road withthe new coat of arms on it. The council has started putting new signs out around the borough as it readies itself for Royal borough status on Friday. 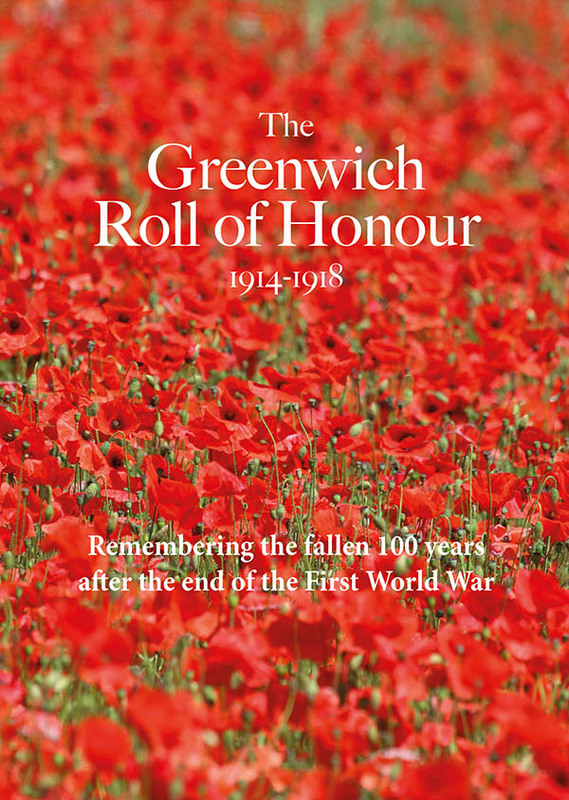 Don't forget there will be activities in Woolwich on Friday, in Eltham on Saturday and in Greenwich on Sunday to mark the occasion. LONDON 2012 organisers have unveiled a raft of measures to help Greenwich's local transport network cope with the thousands of visitors expected for next summer's Olympics. Chief among the proposals, which went on display today and can be viewed by residents until Saturday, are road closures and an enlarged one way system around the town centre throughout the Olympics. Greenwich Church Street will be closed to traffic, as will Straightsmouth at peak times and Greenwich High Road towards the town centre from the junction of Norman Road, as these become designated pedestrian routes from Greenwich railway station. Marshals will guide the throngs of spectators along these routes and then down College Approach and through the Old Royal Naval College where they will then access Greenwich Park by crossing two new temporary footbridges across Romney Road. "We want to maintain the vehicle route as much as we can. The one way gyratory will be adding some pressure within the area so we need to maintain free flowing traffic as much as we can." A bridge is also proposed to get spectators arriving via Blackheath station across the A2 from the heath to Greenwich Park. 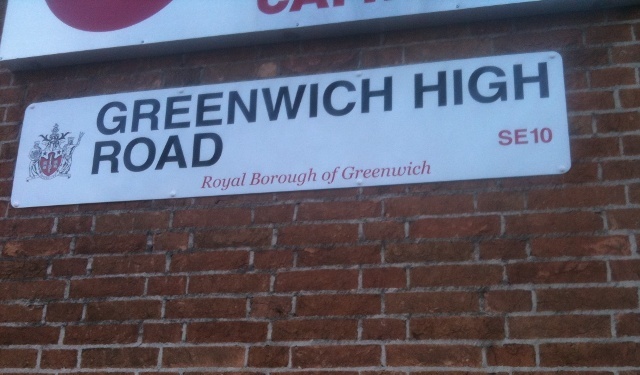 Drivers heading into Greenwich from Greenwich High Road will have to turn left at the Norman Road junction, before turning into Creek Road and then joining the existing one way system. Organisers say that Cutty Sark DLR station will have to close during peak hours as it doesn't have the capacity to deal with the volume of spectators. Olympic ticket-holders tempted to try and park in Greenwich will find that hours have been extended in all Controlled Parking Zones (CPZ). Areas within a 30 minute walking radius of the park which aren't currently in a CPZ will have new temporary controls put in place to deter spectators planning to drive in, and residents and businesses will be issued with special Olympic parking permits. Closing Charlton Way and The Avenue/Blackheath Avenue from 7 July-8 September. Closing the Lewisham-bound DLR platform at Greenwich train station, with passengers asked to join services Deptford Bridge instead. Using the Blackwall Tunnel, the A2 and Prince Charles Road, Maze Hill Road, Park Vista and Park Row as Olympic Road Network routes for transporting athletes and the "Olympic family". Setting aside 100 car parking spaces for Blue Badge holders. Establishing "park and ride" areas around Blackheath so spectators can be coached in from Bluewater and Lakeside. The proposals, along with more planning documents, will soon be submitted to Greenwich Council as London 2012 organisers attempt to meet the conditions of its original planning application. Clues as to the kind of stunning images viewers at home can expect were hinted at with maps showing the construction of a mile-long cable to carry a TV camera from Millwall Park high over the Thames, swooping across the Old Royal Naval College and equestrian arena in Greenwich Park before finishing near the General Wolfe statue. London 2012 Venue General Manager for Greenwich Park, Jeremy Edwards, commented: "We're trying to do everything we can to make sure the experience next year is one of the most memorable for the people of Greenwich and the spectators." Developers have been given the green light to build new flats and hotels at the corner of Norman Road and Greenwich High Road. The Movement, covered previously on Greenwich.co.uk, is a mixed use development including hundreds of new homes, two new hotels, residential units and a new street. The application got the backing of Greenwich Council's Planning Board last Thursday night at Woolwich Town Hall. There will be 181 residential properties, over 350 rooms of student accommodation, a 104 bed 3* hotel, a 30 bed boutique hotel as well as commercial units, office space, shops and a health club. The scheme from local developers, the Cathedral Group, will be built on a disused industrial yard. 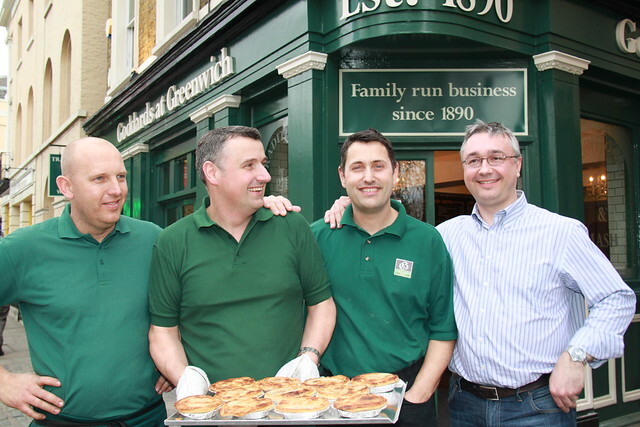 Cathedral are also behind the Deptford Project and the redevelopment of Eltham's Grove Market. Proposals have been published for a big new development in West Greenwich. The plans would see the construction of a hotel with 100 rooms, 500 rooms of student accommodation and 200 apartments at the corner of Norman Road and Greenwich High Road. Initial details of the proposal have emerged in an Environmental Impact Assessment (EIA) which was required to be submitted before full planning permission can be applied for. 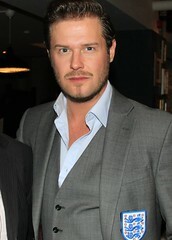 The proposed development - given the monicker 'The Movement' by its London-based developers, the Cathedral Group - would be built on the site of Greenwich Industrial Estate which fronts onto Norman Road. The development, which would reach up to eleven storeys high and be visible from Greenwich Park and the Old Royal Naval College, also includes plans for a student bar and health club, 5000 sq ft of commercial floor space and space for a new community centre. Whilst the developers are looking to complete the project by 2013, their first priority would be to get the hotel built and opened in time for London 2012. Cathedral Group were previously responsible for redeveloping Devonport House into a hotel and student accommodation and are also currently seeking planning permission for a large redevelopment project in Deptford. The plans are still at an early stage and the developers will now be waiting for Greenwich Council's formal response to their Environmental Impact Assessment before submitting a full planning application. Greenwich Industrial Estate in Norman Road - site of the planned development. 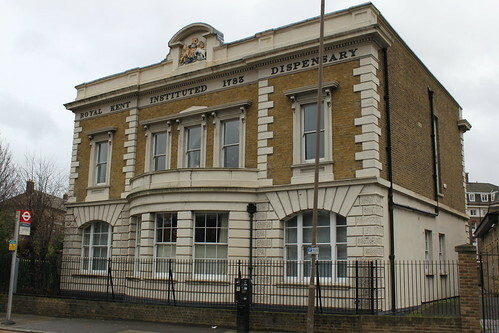 The Royal Kent Dispensary on Greenwich High Road, which was, I believe, formerly part of the Miller Hospital.